Nokia 8 Sirocco vs. Samsung Galaxy S9: Can new flagship return Nokia to form? 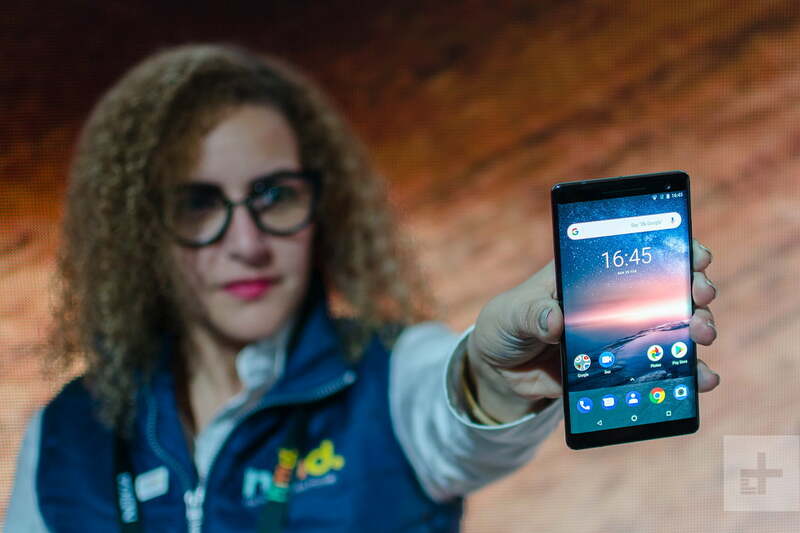 Nokia is back in the premium flagship game with the Nokia 8 Sirocco, a special edition of the Nokia 8 that joins the Nokia 7 Plus in bringing bezel-less design to Nokia phones. But with all eyes on the Samsung Galaxy S9, does the Nokia 8 Sirocco stand a chance in the marketplace? To find out, we took a look at both of these premium phones to help you determine which is best for you. Like the Nokia 8 before it, the Nokia 8 Sirocco is equipped with the Snapdragon 835 processor. This is the same powerful chip we saw in last year’s flagships, including the Galaxy S8, the LG V30, and the Galaxy Note 8. It’s an extremely powerful chip that should afford the Nokia 8 Sirocco good performance — during the time we spent with it for our hands-on review, the Sirocco was fast, responsive, and smooth. However, we do find it odd and a little disappointing that HMD Global (the company making Nokia’s phones) didn’t try a little harder to get ahold of new Snapdragon 845 for this luxury phone. By contrast, the Snapdragon 845 is the processor you’ll find in the Galaxy S9, and while we haven’t had chance to test its real-world performance yet, the benchmarks for the 845 put it a few stellar leaps ahead of the older 835 — and we expect that power puts the Galaxy S9 a tier above the Nokia 8 Sirocco. It’s the opposite way around when we take a look at storage and RAM. The Galaxy S9’s internals are largely unchanged from the Galaxy S8 — 64GB of internal storage and 4GB of RAM. They’re respectable numbers, but they’re up against the higher-end specs on the Nokia 8 Sirocco — 128GB of internal storage and 6GB of RAM. That said, the Galaxy S9 still has an edge over the Nokia phone thanks to the option to expand the available storage by up to 256GB via MicroSD card. Despite being present in the Nokia 8, the feature is oddly lacking in the Sirocco. Similarly, we wouldn’t put too much weight on RAM either — RAM’s impact on smartphone performance is questionable, and simply having more RAM doesn’t guarantee better performance. Finally, if you’re a fan of the headphone jack, you’ll be disappointed that the Nokia 8 Sirocco ditches the venerable port. 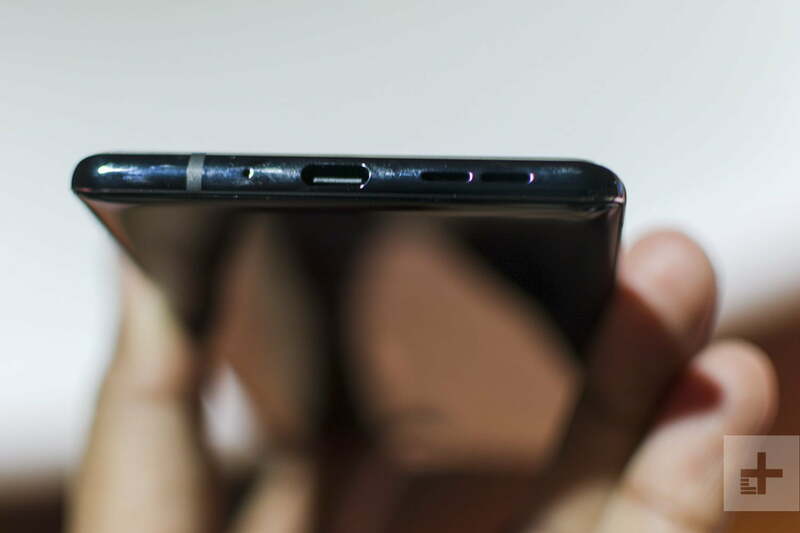 Since the Galaxy S9 still rocks the 3.5mm jack, Samsung’s entry scores a few extra points. The Nokia 8 Sirocco may arguably be the slightly more powerful package with the inclusion of a larger hard drive and more RAM, but the inclusion of the more powerful Snapdragon 845 in the Galaxy S9 is likely to have the bigger impact on performance in the longer term. With the addition of a headphone jack, the Samsung Galaxy S9 takes this category. The Nokia 8 Sirocco is one of the first Nokia phones to embrace the bezel-less revolution by introducing a large 5.5-inch POLED display that dominates the front of the phone. Thanks to the slim bezels at the top and bottom of the phone and the screen edges that curve around the sides of the phone, the phone feels nicely compact in the hand. It’s also a superthin phone that’s just 2mm thick at the thinnest point. However, that does lead to some fairly sharp-feeling edges, but we’ll properly evaluate whether that is a serious issue after we’ve tested the phone for a while. That aside, the Nokia 8 Sirocco feels and looks luxurious enough to be worthy of its flagship status. The whole phone is encased with Gorilla Glass 5 over a stainless steel frame that adds to the luxury feel. The two camera lenses on the back of the phone are arranged vertically, with the fingerprint sensor located beneath them. But outdoing Samsung on the style front is a tall order. Looking at the S9, you’d be forgiven for assuming it’s the same design as the S8 — and there has definitely been a refinement of ideas from the S8, rather than a full-on redesign. But that’s not a bad thing. The S8’s design isn’t one that’s out-of-date, so returning to the same will is forgiveable. The front of the S9 is basically identical to the S8 — a 5.8-inch AMOLED screen with slim top and bottom bezels that curves around the edges of the phone. The body is constructed the same way as the S8 as well, with an elegant glass over metal design that’s simply stunning. Flip the S9 over, and the fingerprint sensor has been moved to below the camera lens, fixing one of the major issues with its predecessor. In terms of durability, you’re likely to see a similar level of physical endurance from both. Since each phone’s body is made of glass, you’ll probably be wanting a protective case for both of these devices — though it should be said that the Nokia 8 Sirocco’s stainless steel frame will likely prove more durable than the S9’s aluminum frame. The pendulum swings back the other way in regard to water resistance, with the S9’s IP68 rating trumping the Nokia’s IP67 rating. It’s very difficult to differentiate these two handsets on this front. Both devices employ a similar design philosophy, and both come equipped with gorgeous OLED screens that make colors pop and really bring out the inky blackness of dark areas. Which design you prefer comes mostly down to personal preference, and we find the S9’s design to be the more attractive of the two — but not by much. Add the S9’s higher level of water resistance, and you have your winner. The Nokia 8 Sirocco is equipped with some fairly impressive rear-based snappers — a 12-megapixel lens and a 13MP 2x telephoto lens, both with Zeiss optics. We were impressed during the little time we had to play with the camera, and found it performed snappily and took solid shots. Time will tell whether it’s good enough to compete with other flagships, but we’re quietly confident it’ll do well enough. 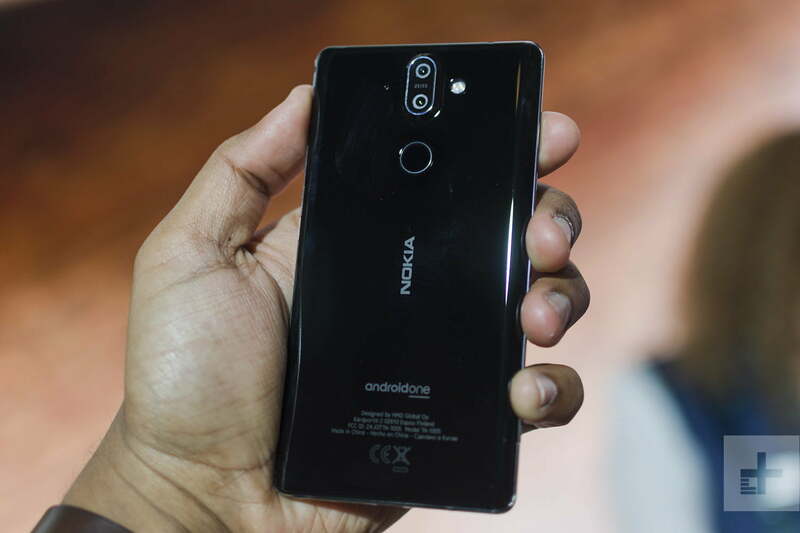 The front-facing selfie camera isn’t as impressive, sporting a relatively meager 5MP lens, but it works well enough for selfies and with Nokia’s “bothie” mode that takes a snap with both the front and back cameras at once. 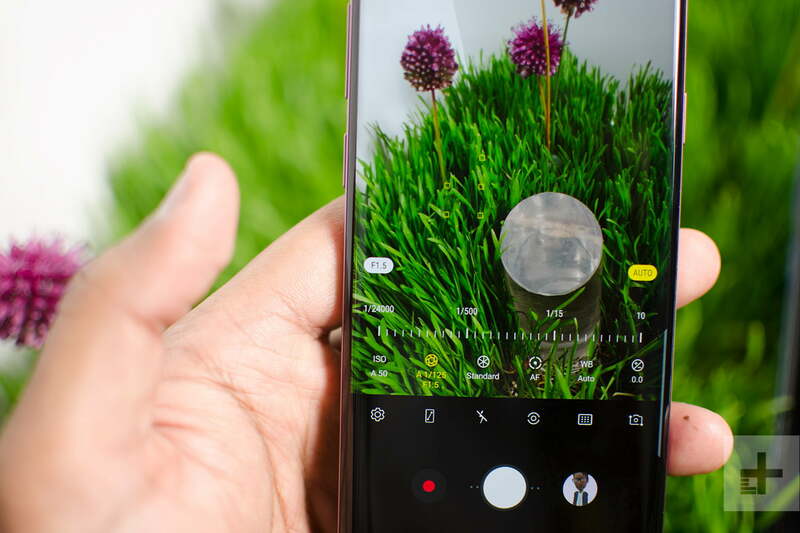 The Galaxy S9’s cameras have seen significant improvement, and though the S9 still only comes with a single lens, Samsung’s dual-sensor tech means that the one lens can provide many of the cool tricks you’ll find in dual-camera systems. The biggest change here is the inclusion of a dual-aperture system, with the camera now coming with an f/2.4 aperture and a super-large f1.5 aperture — the largest yet seen on a smartphone. The larger the aperture, the lower the number, and a larger aperture means more light is let in, allowing for better snaps in low-light environments. The S9 will swap back and forth between the two as needed, ensuring great snaps regardless of the light. If you’re interested in hearing more about that, we’ve done a major test of the S9 Plus’ similar camera, but suffice it to say that we expect the S9 to outperform the solid camera on the Nokia phone. In terms of video, it’s a similar story. Both devices can capture good video, but the S9 can capture it at a full 60fps, and can shoot super-slow-motion videos at 960fps — far beyond anything that the Nokia 8 Sirocco’s camera can manage. The winner here is pretty clear. We’re expecting the Nokia 8 Sirocco’s camera setup to be good, but not good enough to take down the mighty S9. It’s hard to judge battery life before we’ve had a real chance to get to know these phones, but we can make some estimations based on the specifications on offer. The Galaxy S9 takes another page out of the S8’s book by offering essentially the exact same 3,000mAh battery and charging package that we saw last year. Again, this isn’t really a bad thing — the S8’s battery life was good, QuickCharge 2.0 continues to be speedy, and wireless charging is a great way to keep your battery topped off. However, the Nokia 8 Sirocco’s 3,260mAh battery is larger, and Nokia’s fast charging seems to be faster than that offered by the S9, with Nokia claiming the Sirocco can charge from empty to 50 percent in 30 minutes. That’s pretty quick, and as if that wasn’t enough, Nokia’s phone also comes with wireless charging, so you can keep your phone topped off on a charge pad. While we’d rather base this on real-world testing, for now it seems that Nokia’s phone, by dint of having a larger battery and possibly faster charge speeds, is superior in this round. As you would hope for 2018 flagship phones, both the S9 and the Nokia 8 Sirocco are running the latest version of Android — Android 8.0 Oreo. However, they’re both exceptionally different takes on the same operating system. The Samsung Galaxy S9 comes with Samsung’s own spin on Android, Samsung Experience. 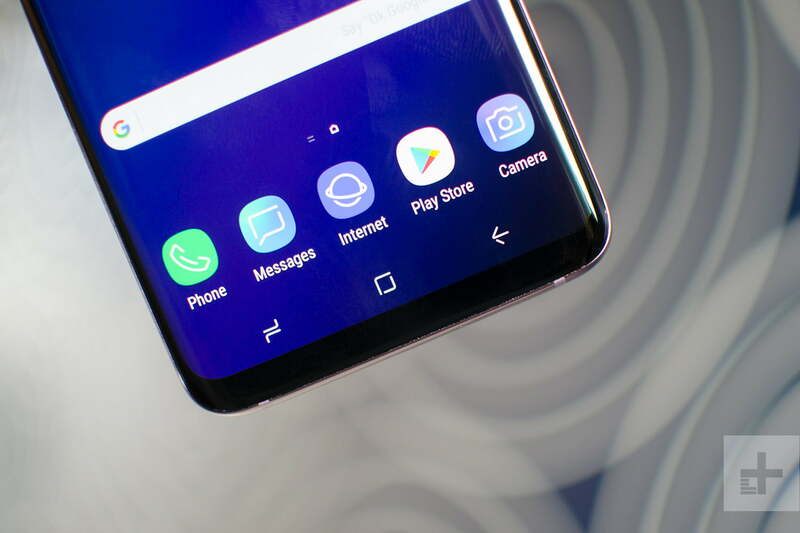 Samsung’s user interface (UI) has been much improved since it was known as TouchWiz, and has evolved to the point where it’s a worthy contender to most Android UIs on the market. It’s smooth, fast, and it offers some useful functions that we end up using more often than we’d imagine — Edge Panel’s various tools spring to mind here. Samsung has also added some new stuff just for the S9 — you can now create an AR emoji based on yourself that mimics your head and facial movement. there are also improvements to the Bixby virtual assistant and the always-on display. Any additional bloatware installed by Samsung can be easily removed, and it’s all tucked away into its own folder in any case, so you’re unlikely to see it unless you seek it out. On the flipside, the Nokia 8 Sirocco runs stock Android — but not just any stock Android. HMD Global has seen fit to implement Google’s Android One program on the flagship phone, and that means the Nokia 8 Sirocco gets the smoothest, bloatware-free stock Android experience that you’re likely to get outside of a Google Pixel. While this means that the Nokia 8 Sirocco won’t get any fun additions the same way the S9 does, it does mean that Nokia’s handset benefits from security updates and patches straight from Google itself. Since Samsung has to alter every Android update from Google to fit its UI, updates for Samsung’s phones are often months late in implementation — something that Nokia 8 Sirocco owners won’t experience, as they will receive updates as soon as they’re pushed out. Samsung’s UI may add a bunch of bells and whistles, but we love the stark beauty and slick smoothness of stock Android — and the promise of regular security updates is a massive point in the Nokia device’s favor. The Nokia 8 Sirocco takes this. 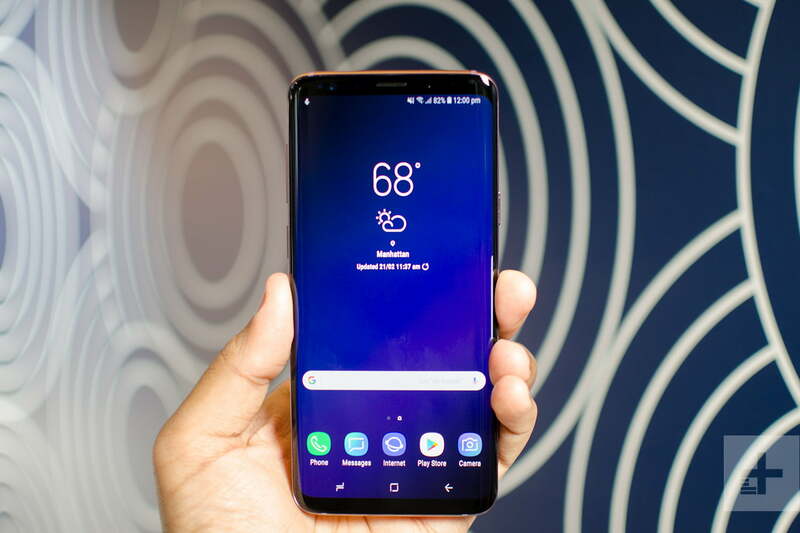 The Samsung Galaxy S9 is up for pre-order starting March 2, and U.S. customers can expect to see their new phones shipping March 16. Grabbing yourself a brand-new Galaxy S9 will set you back around $720, and we’ve compiled some of the best deals you can expect to find in our Galaxy S9 and S9 Plus buying guide. Like past Samsung flagships, it’ll be available on pretty much every network, so you shouldn’t have an issue getting ahold of Samsung’s latest device. The Nokia 8 Sirocco has just been revealed at Mobile World Congress 2018, and we’re currently unsure whether the phone will reach U.S. shores or not. At the moment, we’re hearing that the device will cost a whopping 750 euros in Europe, which takes the price into the $900 range. That’s exceptionally expensive, even within the flagship realm. With that said, it is a special edition of the Nokia 8, so it’s likely this will be a limited run, so if you want it, you’d best grab one however you can. However, for our money, the Samsung Galaxy S9 is the better bargain for the money. It’s not often that you get to say the latest Galaxy phone is a cheaper alternative — but here we are. The Samsung Galaxy S9 takes this final round. The Samsung Galaxy S9 is the clear winner here — but the victory wasn’t exactly written in the stars. The Nokia 8 Sirocco put up one heck of a fight, and Nokia’s latest HMD Global-built beast is shaping up to be a fantastic smartphone, and a potential return to form for the Nokia name. However, the lack of a processor from the latest generation hobbled it, and a camera that doesn’t measure up to Samsung’s latest means that in this place, at this time, the Samsung Galaxy S9 is definitely the phone to pick up out of these two. But we’d like to think this is an oracle of things to come. Samsung might best keep an eye on the Finnish heartlands, because a slumbering giant may be about to awaken.